Marketing plans can be intimidating. But, every good business owner knows that they need one. Marketing plans do not have to be overwhelming and extravagant. If you keep it simple and targeted, you can do it yourself; even if you’ve never written one before. 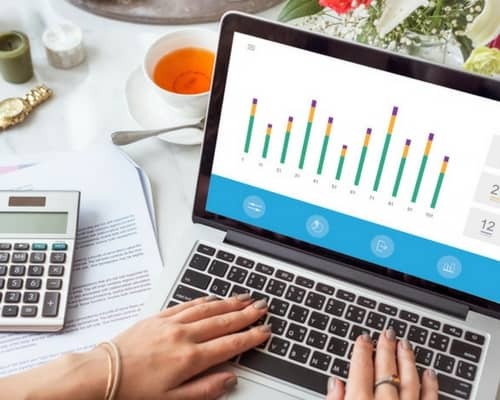 Let’s walk through the process so that you can create a stellar marketing plan that will set your business up for success and growth in the new year! You should be able to craft your business’ mission into a few key sentences. They should succinctly describe the type of businesses, the services or products you offer and what markets you serve. By creating your mission statement, you give your business a purpose and a direction for the future. This is crucial. It’s an important piece of information that should not only lead your marketing plan but all of your business efforts. Your marketing plan needs to be specific; from top to bottom. It needs to directly outline your goals, your purpose, and your strategies. It should describe all of the services that your business has to offer as well as your promotional strategies. The goals you list should be measurable. For instance, an unspecific, unquantifiable goal would be, ‘I will expose my business to new people this year.’ This doesn’t give you anything to measure so that you can gauge your progress. A more specific, measurable goal would be, ‘Market Mommy will grow its newsletter mailing list by 25 percent.’ By knowing where you are starting and where you want to be, you give yourself a chance to reach and exceed milestones. If there weren’t competition, there wouldn’t be business. It’s important to understand and acknowledge your competitors and to be aware of their strategies and promotions. And, it’s important to take them into consideration as you develop your own plan of action. You must be able to position yourself as unique and superior. You must first understand them to know why you are better. Then, you need to tout your strengths throughout your marketing efforts. Your marketing plan must detail specific actions and strategies. I love this sample outline on Forbes. It gives you a straightforward, easy way to organize and outline your plan. It encourages you to directly state things like your target market, your pricing and distribution plan. Seeing is believing, if you have your plan readily in front of you, it makes it easier to follow and in turn be successful. Perhaps the most important piece of advice when writing your marketing plan is to remain flexible. This plan is a fluid document and not a stagnant one. Much of your marketing planning will be trial and error. But, it’s important to go through this process to determine what works best for you specifically. What works well for your competitor might not work well for you. Keep an open mind and be willing to try new strategies if something isn’t working. However, don’t give up on efforts too soon. Make sure you are giving them a chance to work. I generally suggest a three to four-month time span before deciding to scrap a promotion or campaign. 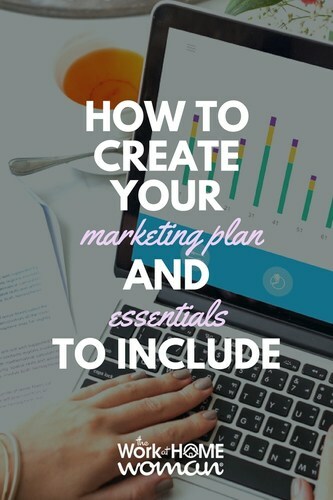 Now that you know how to create your marketing plan, here are some essentials that you'll want to include in it. There are a variety of ways that you can increase your SEO (search engine optimization) for free. First, start by writing content-rich, relevant copy for your blog and website. Go through your existing copy and spruce it up. Take advantage of free online directories and other sites that will link to yours for free. Increasing links to your site will also help raise your site in search engine results. Facebook, Twitter, LinkedIn, Instagram, and Pinterest — they’re all free, and many people are using to network and successfully market their businesses. Each platform is a bit different, but the purpose is the same: connect with others. You could connect with potential business partners, future customers or even future employees. Social media allows you to interact easily, share promotional information, recruit customers and spread the word about your company. Links to social media sites can also benefit your SEO. Are you in contact with your customer base on a regular basis? If not, you should be. There are several sites that offer free e-newsletter services like Constant Contact and Sendinblue. You can place a sign-up box on your site to increase your subscribers. Then, once a month or so, you can update them about coupons, special promotions, new products and more. This strategy can increase top-of-mind awareness, and a coupon or other call-to-action can translate your subscribers into paying customers. Believe it or not, you can do media relations yourself. Although there are a few tricks and formatting rules to press release writing, it isn’t rocket science. With a little research and a little practice; you can do it, too. Writing interesting press releases, with engaging leads and relevant information can generate some attention if sent to the right editors. Do a little digging and make sure you are sending the release to the most appropriate person at the publication. Follow up calls and thank-you notes can also work to improve your relationships with media and improve your chances of coverage in the future. Start small and fine-tune your skills before pitching to larger publications. In this digital-age, it’s sometimes easy to overlook the old-fashioned phone call or live networking event. Don’t. For small start-ups, these grassroots networking efforts can really make a difference. Attend local meet-ups and networking events, visit your area Chamber of Commerce and see what they have to offer. Introduce yourself to other business owners and collaborate when appropriate. There is still a lot to be said for face-to-face meetings. When trying to maximize your marketing efforts for less, it’s always best to think outside of the box. Be creative and put new spins on old tricks. By diving in, you can help push your business to the next level rather than sitting back and trying to watch it grow. Originally published January 28, 2014. Content updated November 14th. Great tips on setting up a marketing plan for our blogs. I have been working hard on blog promotion and while it does take time, I am starting to see a nice return on my efforts. I am really starting to focus more on SEO. Now that my blog is a year old, I am finally starting to see some organic traffic. Although I don’t want all my traffic coming from just one source. I love how you provided several different methods that we can use to promote our content. I’ll definitely be putting your marketing plan to use and see how it helps my blog. So glad you enjoyed Dawn’s tips, Susan! SEO is definitely a long-term strategy, but well worth the effort.